Heidi Stewart sent us this report of the recent RGB Battle this year hosted by Barry. A top evening at the R.G.B battle being held Barry Camera Club last night. A few new Gwynfa faces there too which was really nice to see! The results were: 1st Place – Rhondda 285 pts, 2nd Place – Gwynfa 283 pts and 3rd Place – Barry 258 pts. Gwynfa’s 20′s were… Man’s Best Friend (print) by Rob Beynon, O Crap (pdi) by Allan Squires and Late Night Takeaway (dpi) by Leigh Parsons. Big thanks to Barry CC for putting on an excellent evening and buffet Also, thanks to our judge for the evening Dave Russell who did a great job too! 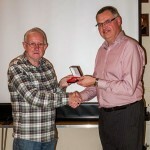 Alan Hoskins won the February ‘Song Title’ competition with his entry ‘Ring of Fire’. 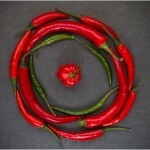 Ring Of Fire by Alan Hoskins – 1st placed DPI and overall winner. The Rose by Meryl Natt – 2nd placed DPI. All Along The Watchtower by Margot Rowlands – 2nd placed Print.